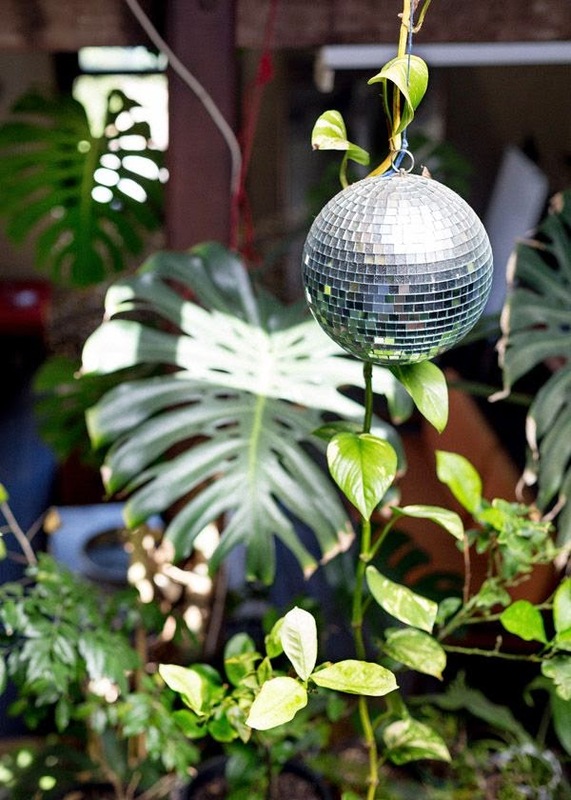 I love Mirror balls. They totally appeal to the magpie in me. 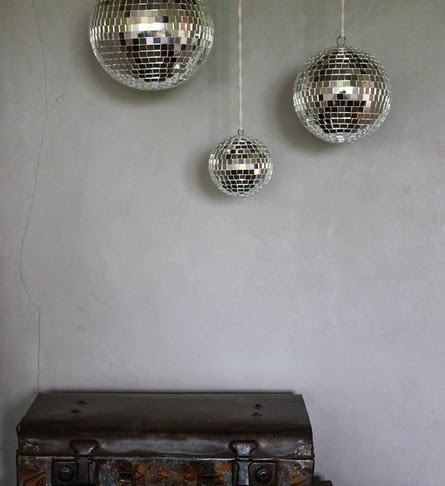 Although they kind of remind me of those horrible nightclubs you go to when you are too young to know better clubs exist, I have always wanted one. 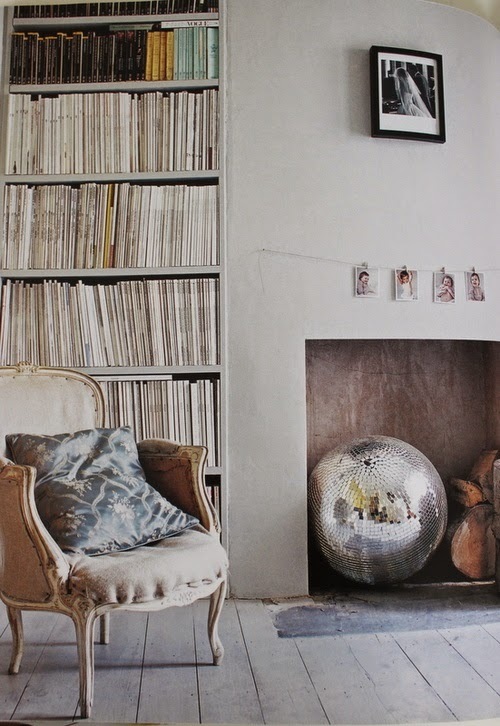 I love how in these images the owners/stylists have made them look a bit cooler and even more sophisticated..... The also look great hanging in the window shining little squares of light into the room!! 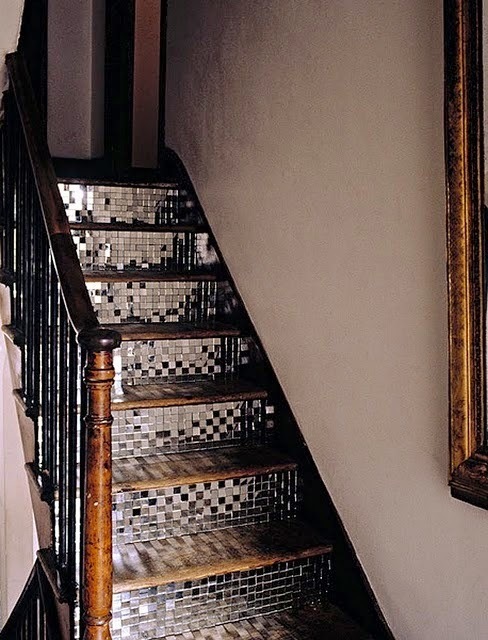 Loved the idea with mirrors on the stairs! 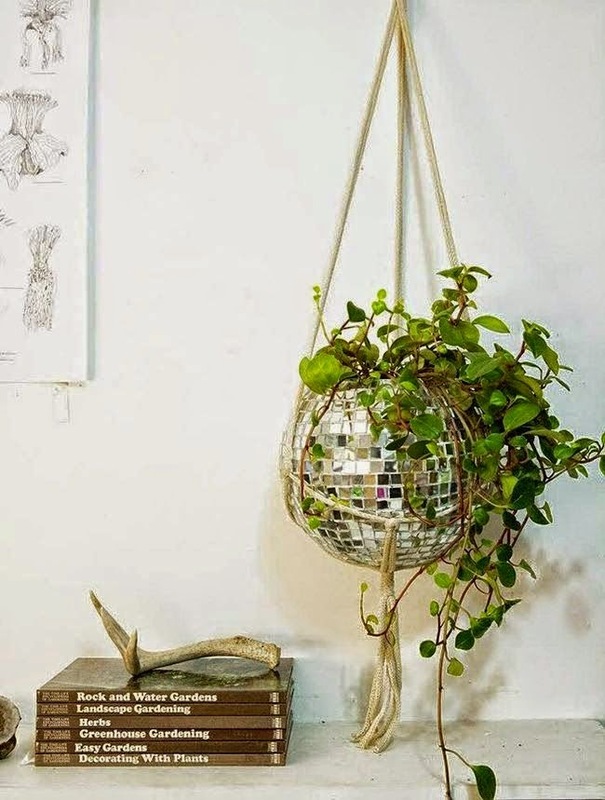 Wooow that mirror ball plant pot is amazing!